©Nancy Borowick, Howie and Laurel Borowick embrace in the bedroom of their home. They never could have imagined being diagnosed with stage-4 cancer at the same time. Chappaqua, New York. March 2013. It’s safe to say that we are all affected by cancer. It has tainted our lives through personal experiences or through connections to those we love. No one knows this in a more profound way than photographer Nancy Borowick,who watched two parents suffer the ravages of the disease simultaneously. She is an innate storyteller and for the last decade, she has “narrowed the focus of her work, telling stories of illness and personal relationships, using compassion, humility, and trust as tools to connect with and explore the lives of her subjects.” Nancy created a Kickstarter to fund a book project on her series, Cancer Family, which was successfully funded, but she is hoping to raise additional funds for a traveling exhibition. Please consider supporting this project. 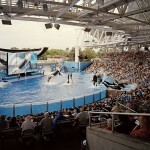 Nancy Borowick is a humanitarian photographer currently based in New York City. She is a graduate of the Documentary Photography and Photojournalism program at the International Center of Photography and holds a degree in Anthropology from Union College. Nancy is a regular contributor to the New York Times, Newsday, and Corbis and has also been featured in the International Herald Tribune, the New York Times Lens Blog, CNN, National Geographic PROOF, Time Magazine, Photo District News, the Washington Post, Stern Magazine, and Newsweek Japan. 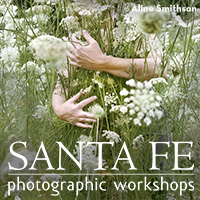 She was recently awarded 2nd place in the World Press Photo competition in the Long Term Projects category. She also won the Arnold Newman Prize in New Directions in Photographic Portraiture and the Eddie Adams Workshop Award in Innovation in Visual Storytelling. In 2015, Borowick earned an Honorable Mention in the NPPA Best of Photojournalism competition in the Contemporary Issues Story category. In 2014, Borowick was named one the Best of ASMP featured photographers as well as one of Lens Culture’s Top 50 Emerging Talents. 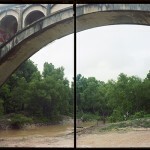 Her Cancer Family, ongoing project was presented at the Visa Pour l’Image in Perpignan, France in 2014 and the following year, 2015, was exhibited at the festival. 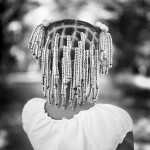 Her work has also been exhibited at the Look 3 Photography Festival in the USA, the Obscura Photo Festival in Malaysia, the Angkor Photography Festival in Cambodia, the Guatephoto Festival in Guatemala, the Oberstdorfer Fotogipfel Photofestival in Germany, and the International Photo Festival Leiden in Holland. In 2016, Nancy presented at the Norrlandsdagarna Photo Festival in Sweden and the work will also be exhibited at the Lumix Festival for Young Photojournalism in Germany. ©Nancy Borowick, Howie calls these “his and hers” chairs. 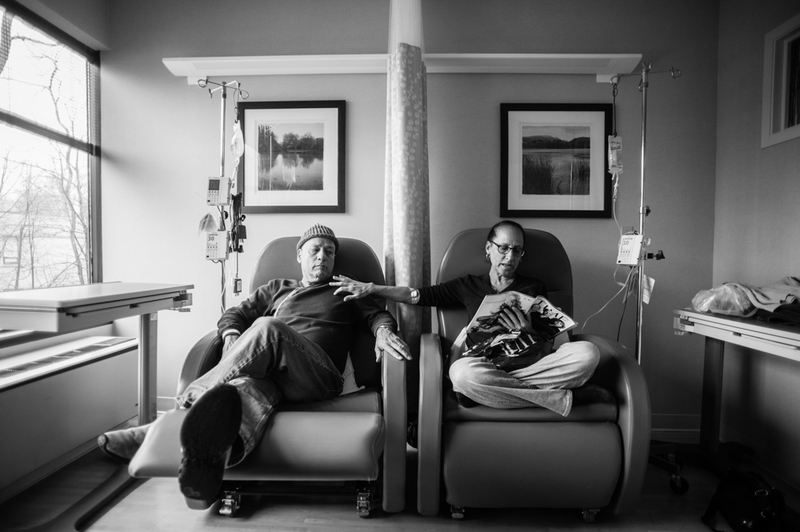 He sits beside Laurel, his wife of thirty-four years, as they get their weekly chemotherapy treatments, side by side at Oncologist Dr. Barry Boyd’s office. Greenwich, Connecticut. January, 2013. ©Nancy Borowick, Starting new rounds of chemotherapy, Howie and Laurel take a quick trip to Florida. Life is about to change dramatically for the Borowick family, and one quick escape from realty was necessary for the mind and body. Naples, Florida. January 2013. 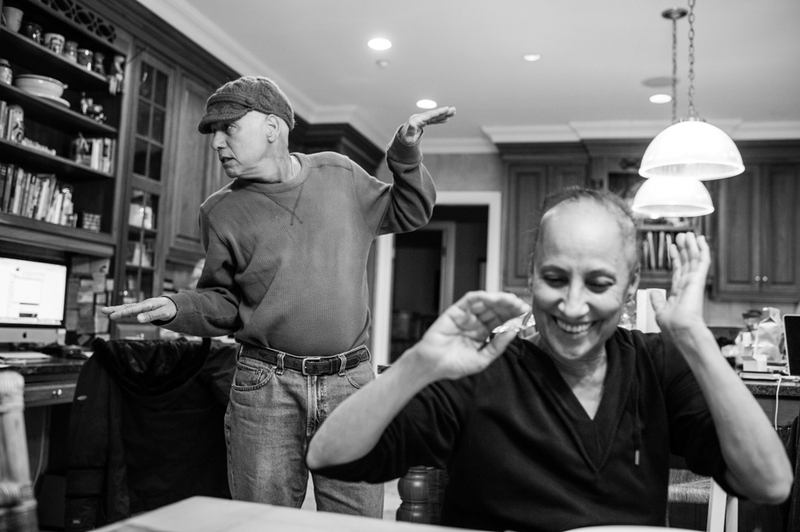 ©Nancy Borowick, In the kitchen, Howie breaks into a bouncing dance to try and get a smile out of his wife, Laurel. They often turned to humor to lighten the heavy mood in the home. Chappaqua, New York. February, 2013. I’ve decided to create a book that will encompass and embody the story of my parents and the experience that my family went through. It will tell the story of my parents’ journeys through their illnesses, but just as important, it will also look back on their lives before they were sick — from the moment they met to life with kids. They did not want to be defined by their diseases; they were many other things other than cancer patients. When cleaning out the family home, we discovered clues about our parents and gained amazing insight into their love for the family and for one another. Love letters, old photographs and the advice found within these mementos were just some of the many amazing surprises uncovered and I plan to weave these found items into the narrative of the book. 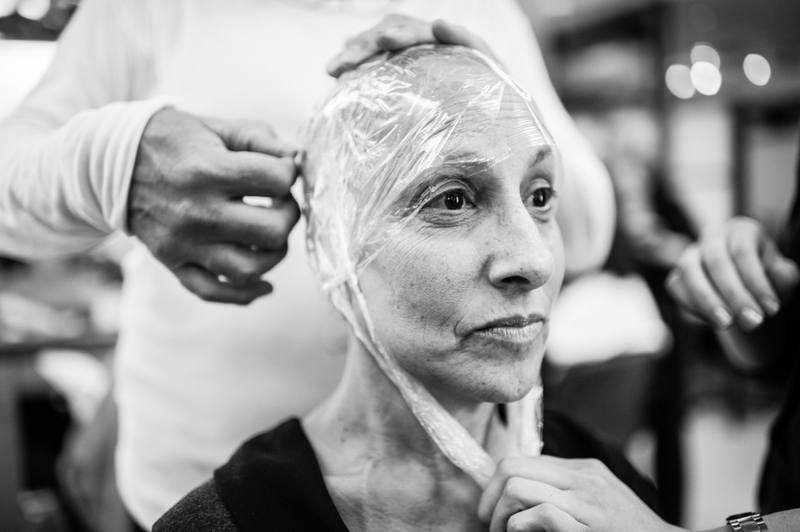 ©Nancy Borowick, At the Rodolfo Valentin Salon in Manhattan, Laurel Borowick gets fitted for a new wig, as she gave away most of her older wigs from previous cancer diagnosis. New York City, New York. February, 2013. My hope is that this book will not only help people to connect with my family’s story, whether they are going through something similar or not, and also, perhaps, inspire people to think differently about their lives. Why do we only begin to have this awareness and appreciation of time when we or the ones we love are on their deathbed? 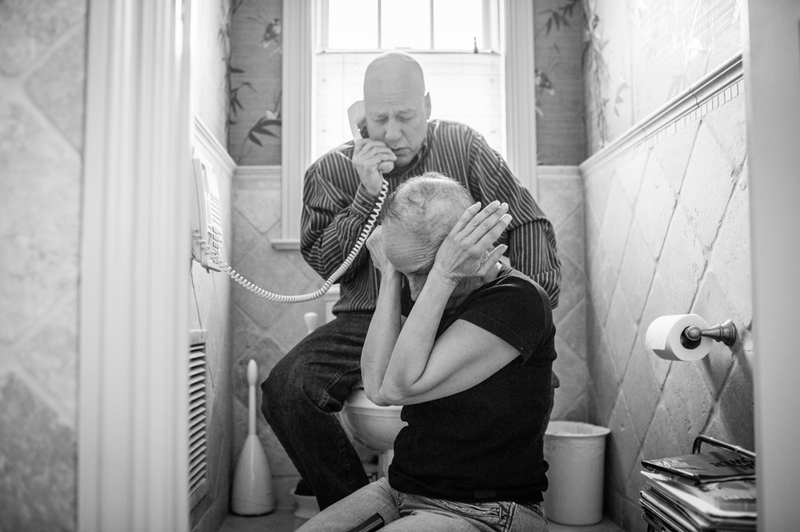 ©Nancy Borowick, Howie and Laurel Borowick sit next to the bathroom telephone as they hear the most recent news from their oncologist- good scans for both of them, and their respective tumors are shrinking. What if one got good news and one got bad? Do they celebrate for themselves and mourn for the other? Chappaqua, New York. March 2013. I launched a Kickstarter Campaign to fund the production costs around the book and in the first two weeks we reached our goal! With almost a whole month remaining in the campaign, I want to keep building the outreach for this project so that we can have the financial backing to support a traveling exhibition of the work as well as facilitate the donation of books to libraries, hospitals, care centers and schools around the world. 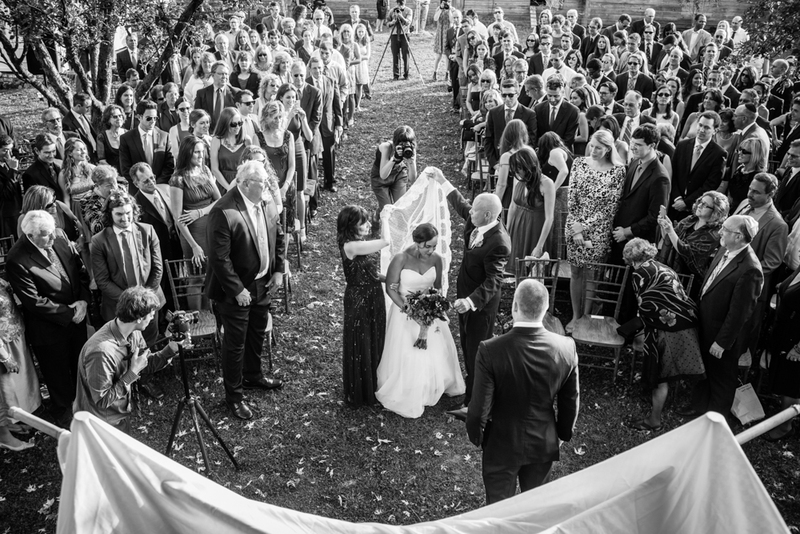 ©Nancy Borowick, With all the strength they could muster, Laurel and Howie walked with Nancy, their daughter, down the aisle. Howie’s disease was progressing fast so he cherished each and every moment knowing time was short. Highland, NY. October 2013. ©Nancy Borowick, 1. Bracelet identifiers adorn Howie Borowick’s left wrist, including his name, notices that he is a fall risk and a DNR bracelet instructing a Do Not Resuscitate order if and when the situation arises. Greenwich, Connecticut. November, 2013. 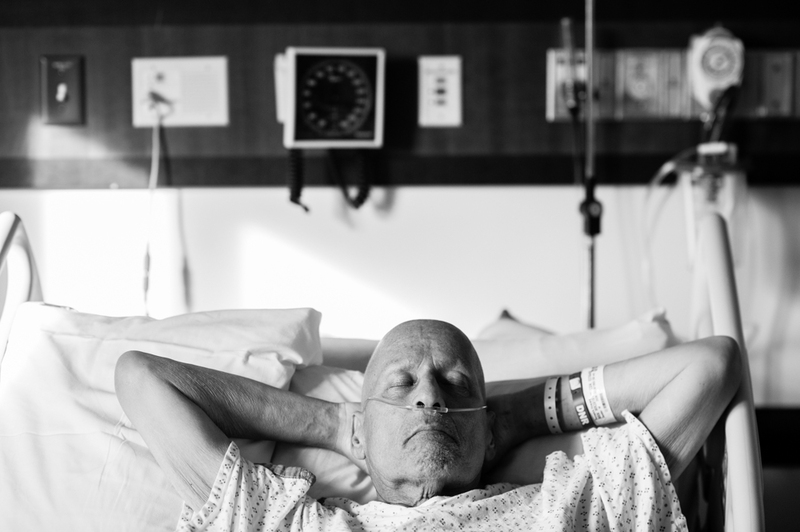 ©Nancy Borowick, Buried in his favorite sports jersey, baseball cap and jeans, Howie Borowick was laid to rest. 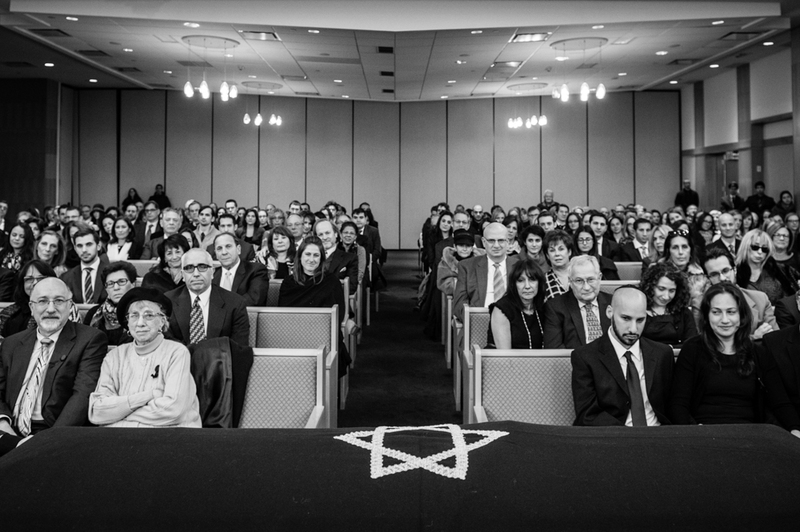 His life, and his story, was evident in the faces of the hundreds that came out to remember their friend. Mt. Kisco, New York. December 2013. ©Nancy Borowick, 1. 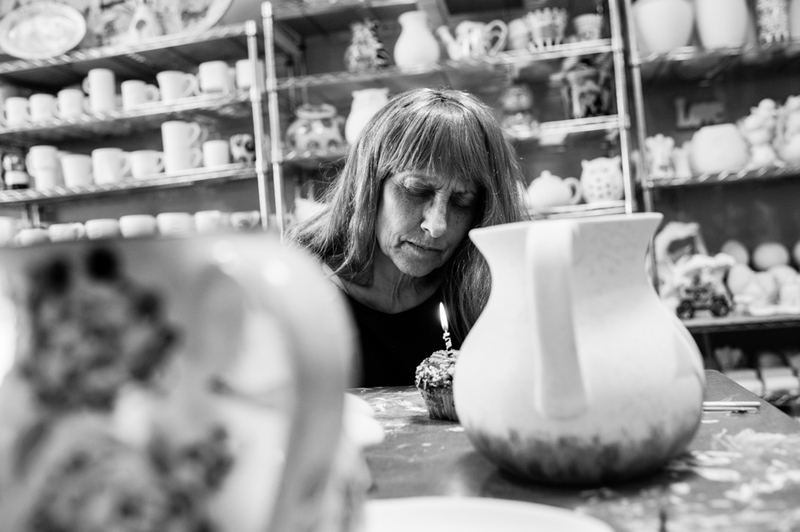 For her 59th birthday, Laurel Borowick spends the day with Nancy at a ceramics studio. 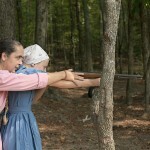 Tumors in her hip and pelvic areas have made it difficult for Laurel to walk so it’s hard for her to do most activities. Briarcliff, New York. March, 2014. 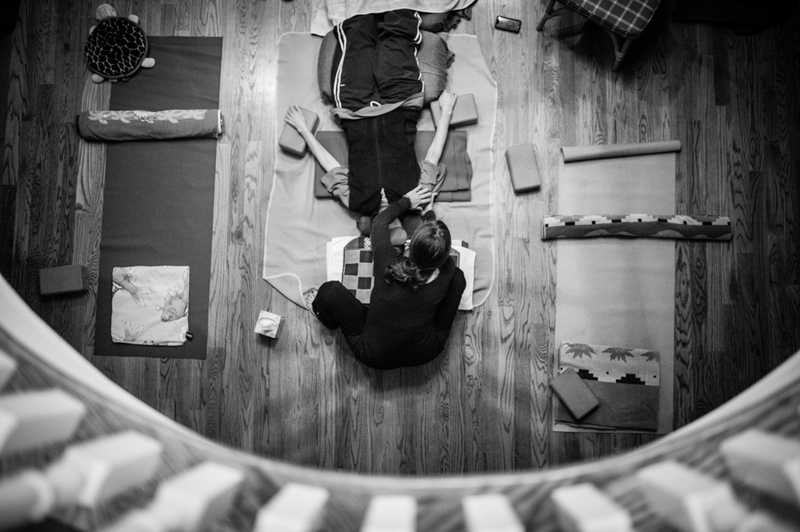 ©Nancy Borowick, Family friend Judy Fuhrer took Laurel through some restorative yoga in the Borowick’s foyer hoping to help ease her strained breathing and pain. Chappaqua, NY. November 2014. 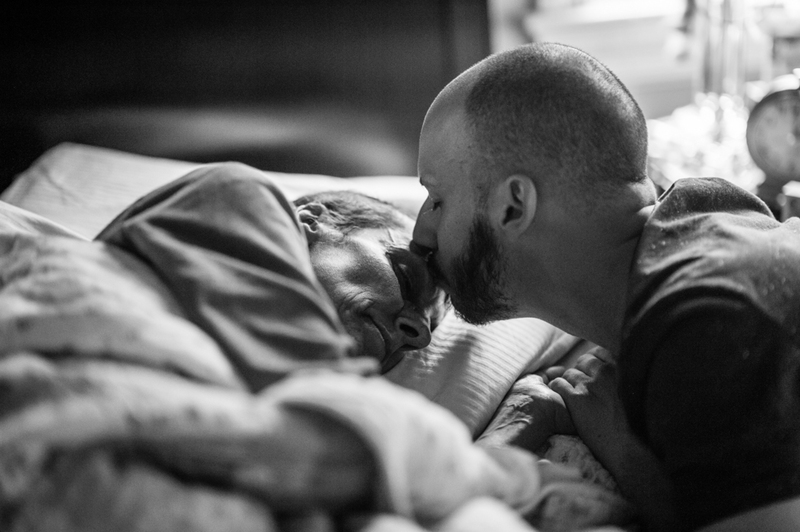 ©Nancy Borowick, Laurel struggles to breathe as her tumors steadily grow as she is no longer in treatment and has begun home hospice care. An oxygen machine is now a permanent fixture in the home. Chappaqua, NY. November 2014. 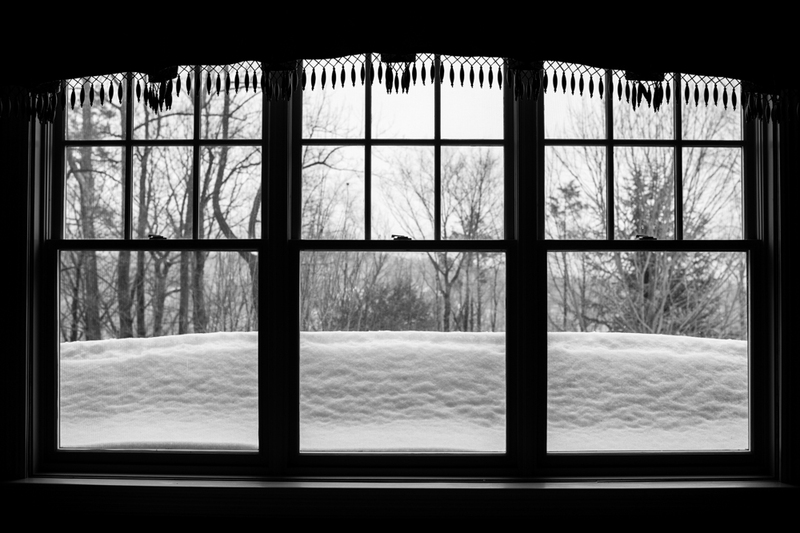 ©Nancy Borowick, This morning was different from all of the others. Laurel could barely get out of bed and was no longer speaking in anything but a low whisper. Matthew, her son, gave her a kiss on the forehead but there was little response. Chappaqua, NY. December 2014. ©Nancy Borowick, Her chest rose and fell with long, silent pauses in between. The family watched, telling her that they’d be ok and she could let go. Laurel took her final breath. Chappaqua, NY. December 2014. 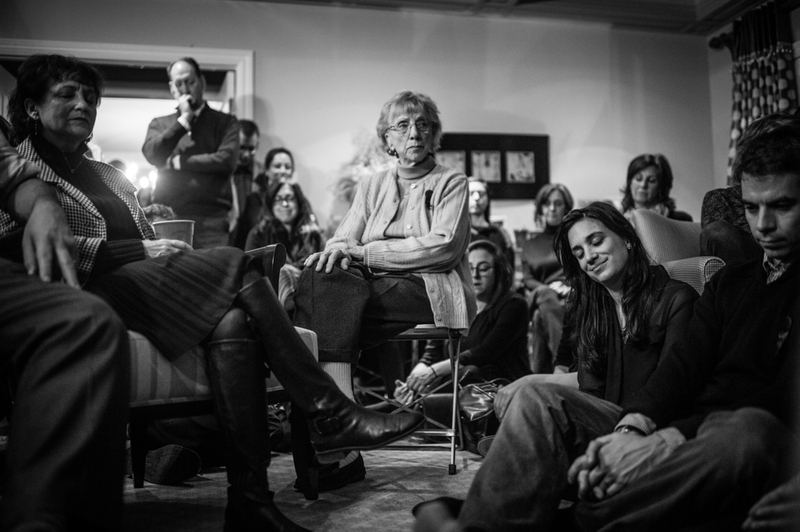 ©Nancy Borowick, Laurel was loved by so many, and touched the lives of those she knew, and many that she didn’t. 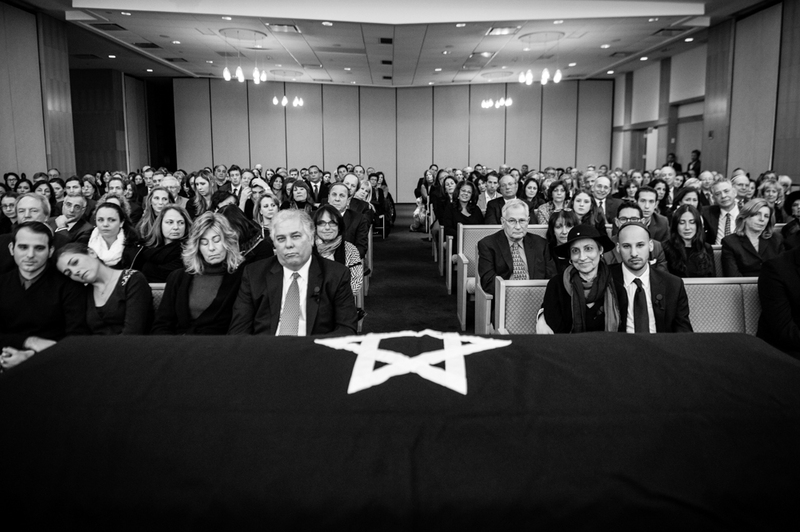 Her funeral brought many of the same faces the family had seen one year earlier, when they said goodbye to Howie. She had been sick on and off for over eighteen years and her final days were swift and filled with love. Chappaqua, NY. December 2014. ©Nancy Borowick, During shiva, all eyes are on the Borowick kids, and the community bands together to provide love and support for these “adult orphans” as the rabbi puts it. Focus is also on Marion, center, Laurel’s 87-year-old mother, who has just lost her daughter. Chappaqua, NY. December 2014. 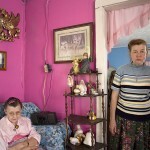 ©Nancy Borowick, The Borowick home was no longer a home, without Laurel and Howie. 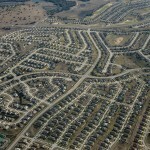 It had the essence of the life that took place there, but now stood vacant and still. Chappaqua, New York. March, 2015. 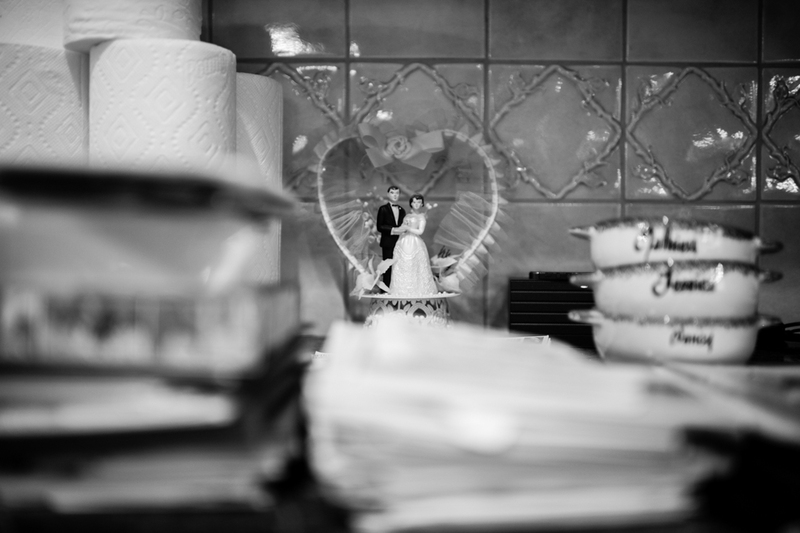 ©Nancy Borowick,In the depths of the house cleaning a cherished memento was found- the cake topper from Laurel and Howie’s wedding in 1979, a time when their lives were just beginning. Chappaqua, NY. February, 2015. ©Nancy Borowick, On the final day in the home, there were few signs left of the family and the life that had been lived within those walls. It was no longer the family home, but a house for a new family to make their own memories in. 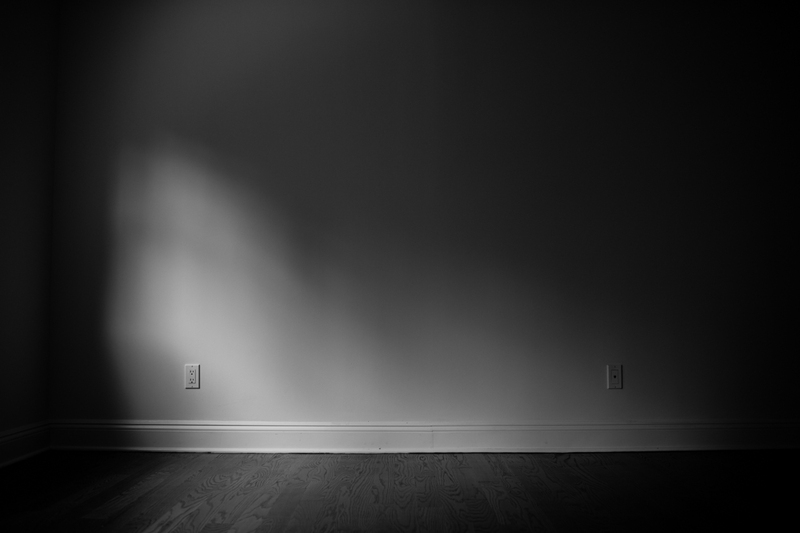 Nothing remained but cleaned floors and black walls. Chappaqua, NY. August, 2015. 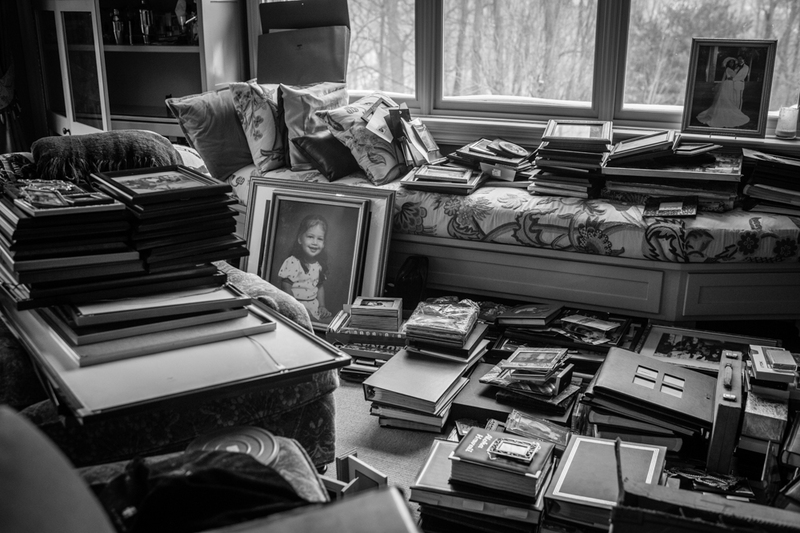 ©Nancy Borowick, The house needed to be packed up and cleared out if the Borowick kids were hoping to sell it and close the chapter. Thousands of photographs were uncovered from every corner of the home, reflecting a lifetime of memories that they will hold onto forever. Chappaqua, NY. February, 2015.